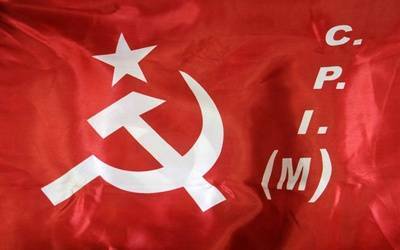 New Delhi, Dec 4 (IANS) Condemning the Bulandshahr violence in which a police Inspector and a civilian were killed, the CPI-M on Tuesday said it was planned to hike communal tensions ahead of the 2019 Lok Sabha polls. "We strongly condemn the brutal killing of police Inspector Subodh Kumar Singh by a mob in Bulandshahr district of Uttar Pradesh. Along with him an innocent bystander was also shot dead," the Communist Party of India-Marxist (CPI-M) said in a statement. "The sudden eruption of violent protests took place on the pretext of cow slaughter due to carcasses found in dubious circumstances in a village in Siana area. This fits in with the pattern of the Vishwa Hindu Parishad (VHP) and other Hindutva outfits instigating communal tensions," it said. "Such incidents are planned in view of the forthcoming Lok Sabha elections. The communally provocative speeches being made by Chief Minister Adityanath have also created an atmosphere for the mobs to act with impunity," it added. The party demanded "firm action" against the perpetrators of the Monday violence and steps to ensure that no communal incidents occur. VHP activist Upendra Raghav, BJP city youth wing President Shikhar Agarwal and Bajrang Dal district coordinator Yogesh Raj have been named in the FIR (First Information Report) in the wake of the violence.